In The Blacklist, which sadly does not refer to the annual survey of hot unproduced scripts, James Spader stars as an infamous criminal. He’s known as the Concierge of Criminals because he plays a middleman between criminals, matching them up and helping them get what they need. In the first scene of the pilot, he walks into the FBI, turns himself in for an unknown reason, and agrees to help the FBI catch certain super top secret criminals on his list (this is the titular black list). These are criminals the FBI has wanted, and some they don’t even know about, and he’ll do this in exchange for certain concessions and conditions. The most important and strangest is that he insists that he only deals with Lizzie Keen, an absolutely nobody of an agent, who was supposed to be at her first day working for the bureau in DC after a stint in NY when Spader turns himself in. In the first episode Spader helps lead the police to a dying terrorist who is planning on kidnapping a general’s daughter (which he does) and using her as a bomb to blow up part of the DC zoo (which he fails at). Spader at one point escapes police custody with the help of an ally at the hospital. It seems like any person at any time might actually be working for Spader. The point here, which is made a couple more times in the episode, is that Spader is cagey and connected and always has a plan. Throughout the episode, it’s unclear exactly whose side Spader is on, as he helps certain criminals, communicates with others, and then thwarts the ones he earlier helped using knowledge from other criminals. Somewhere along the line there a smart decision was made which is at the center of The Black List. Someone decided to have James Spader do what James Spader does best. I’m not sure whether the idea was to create this slimy character and realize James Spader was the perfect actor to play him, or to cast James Spader as an ambiguous villain/anti-hero and build a character around him, but either way it was the choice that is probably going to make The Blacklist a successful show. James Spader is a great actor, but like the large majority of good actors, he excels particularly in a narrow sphere. For him this role is smug, slippery, and sleazy but competent. Spader’s character Raymond Reddington hits all of these attributes, though that’s the only time I’m going to call him by his character’s name because the character simply subsumes into Spader, the actor. At its core, The Blacklist is a procedural. In every episode, Spader will probably pull a new criminal off of his black list and give extremely cryptic tips to help Lizzie and the rest of the FBI follow along and catch the perp. There’s likely to be more serial elements than most procedurals, largely because the premise is much more of a mystery than most procedurals (Law & Order and CSI didn’t start out with obvious questions that needed to be answered). There are very basic questions that have to be answered at some point. Why did James Spader turn himself in? What’s in it for him? What’s with his obsession with Lizzie Keen? What’s up with Lizzie Keen’s husband, who we learn has a whole box of passports and is almost certainly not who she thinks he is? For some reason, there have to be other main characters besides James Spader. Lizzie Keen, played by Meghan Boone, is fine; she’s the young up-and-comer who, even though less experienced, is a step ahead of the rest of the staid-thinking FBI agents. Spader prods her on, and they have kind of a Hannibal Lecter – Clarice Starling relationship, as he tries to get under her skin through grilling her in-depth about her past which he somehow knows better than the FBI does. Compared to Lecter though, he’s far less crazy and far more practical. Everything he does seemingly has some sort of reason behind it which we might learn in time. Diego Klatenhoff, who played Brody’s former best friend in Homeland, plays the FBI agent who was in charge of Spader’s case. Klattenhoff seems to have the talent of being the most forgettable part of any ensemble he’s part of. His character seems so far to only play the role of veteran FBI agent who Lizzie Keen is already sharper than. The other main cast members are Keen’s husband, who obviously has something shady going on, as alluded to earlier, and the boss in charge of the FBI team, who we don’t see a lot of in the first episode. His only role is to be the official who gradually accedes to Spader’s demands. The Blacklist shares a lot of general procedural tropes. It’s not the most exciting or realistic or mind-blowing series. I doubt it will ever be a must watch or be as complicated or thought-provoking as the best shows on television. 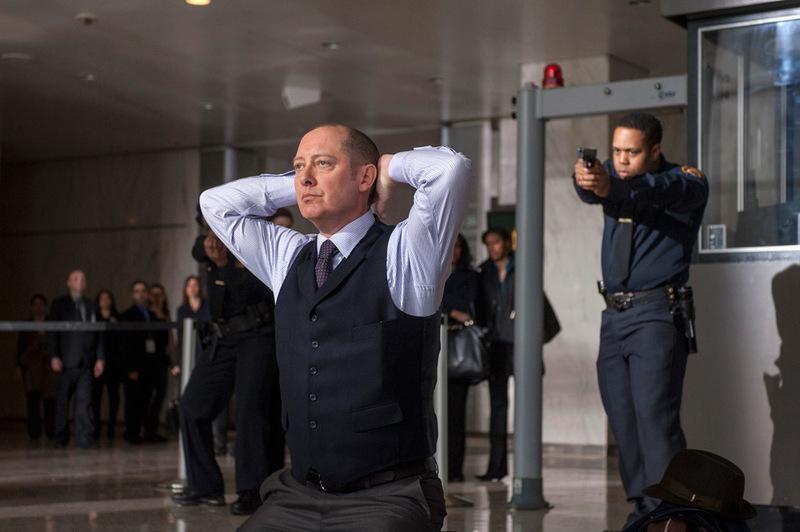 What it does have is James Spader and a fairly action packed and compelling set up. It’s a new twist on a familiar format, and that’s not worth everything but it is worth something. How NBC stole this show that would have fit right in at CBS I’ll never know. The mystery behind Spader gives the show more room to build in a serial fashion than most procedurals, and I actually found myself curious about these questions watching the show, which is generally a good sign. Will I watch it again? It’s not a priority, but I might. It’s a procedural, a genre which is generally not my cup of tea, but there’s at least enough of a serial storyline, James Spader is great, and for its genre, it was impressive out of the gate. Anyone who likes this type of show will like The Blacklist.